Now that the weather is a bit warmer, join the Birmingham Women In Technology for a great evening of networking with some of our members. Rosé All Day is brought to our members by our sponsors at Brooksource. 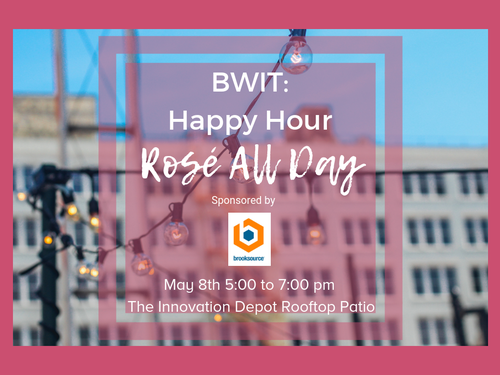 Bring some cards, and enjoy an evening on the rooftop patio at the Innovation Depot.